Kayaking is a watersport involving paddling. You paddle with an oar which has two blades, and you do this in a small boat. Kayaks vary in shapes and size, and they differ depending on what you will use them for. Most kayaks are enclosed, so your legs stay covered, but some are more open, like sea kayaks. Kayaks sit low in the water, so you sit pretty much level with the water. Most kayaks are only big enough for one person, but some boats hold two people so you can kayak in tandem. 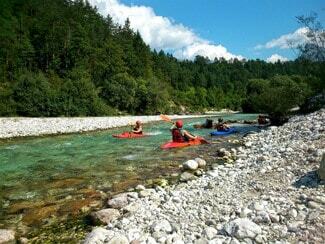 Kayaking is a popular water sport, and most people can try their hand at kayaking with no problem. There are lots of classes for kayaking for beginners around, so finding a class for newbies won’t be too hard. Is kayaking hard? Attending a beginner’s class where you learn kayak basics is the best way to start. Having a good grounding and being taught the right way to do things is the easiest way to get started. Once you have got the hang of it, you will really start to enjoy the sport, and you will begin to get the most out of it. Once you learn to kayak and you are enjoying the sport, you can think about buying a kayak. Some kayaks are expensive, and you will need space to store them, so make sure you are sure about this sport before you go out and buy a boat. There are different types of kayaks to suit the different water ways and kayaking sports you may be doing. You can kayak on rivers, lakes and on the sea. You can kayak on white water, you can race in kayaks too, and you can even use your kayaks for fishing trips. The first kayak was created by the Inuit people. They were made from wood and were covered in sealskin. What are kayaks made of now? 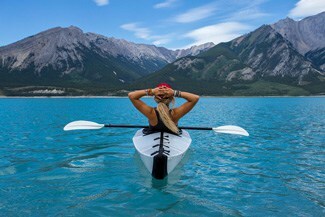 Well, in the 1980s, the first plastic kayak was made and they have been using plastic ever since, and kayak styles started becoming lighter and more versatile. 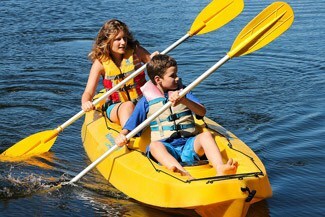 Kayak sizing has got smaller, and they are made in different shapes and sizes to accommodate for different kayak sports. In recent times, kayaking has become more popular and has become a recreational sport. With white water kayaking and kayak fishing becoming more and more prevalent. Kayaking is great exercise, and it can be as intensive as you like. 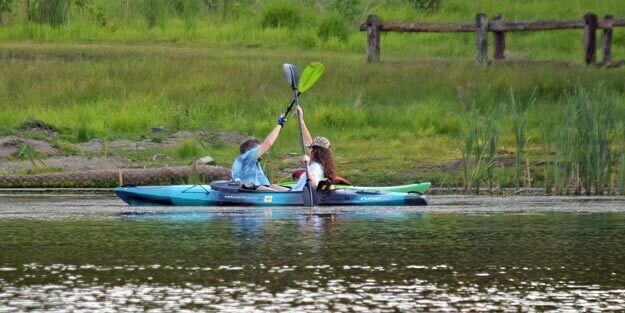 As you get more confident in your boat and using your paddle, you can go faster and start to build up your strength, stamina, and fitness, especially with a pedal kayak – you get an upper and lower body workout in one. Kayaking can burn up to 400 calories an hour, so it is a great way to lose weight. If you were out for 3 hours and paddling constantly, that’s 1200 calories burned, which is a huge amount. And, it is really easy to while away 3 hours out on the water in your boat. When you are paddling, you will do around 500 stokes a mile. If you are doing your strokes properly, you will be using most of the muscles in your upper body, some abdominal muscles and some leg muscles as well. Kayaking exercises and tones up your whole body. It is a relatively low impact so you will tone up rather than bulk. Whatever your fitness goals are, you will be seeing results in no time. 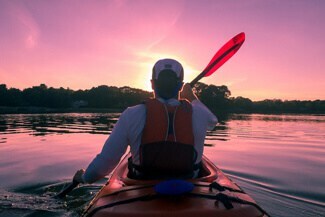 Kayaking is not only great exercise for fitness, but it can also be relaxing, challenging and a great social activity. 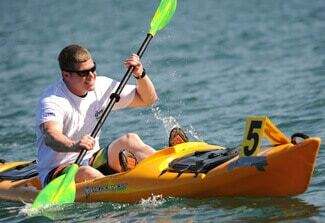 Doing sport can be excellent for stress relief, and you will find the action of paddling your boat to be very relaxing. Kayaking allows you to spend time on your own, and spending time on your own is good for the mind. You can start to enter races to bring more of a challenge to your kayaking, and you can use this to set goals to work towards. Joining a club will give you the opportunity to socialize with other fellow kayakers, and you will gain a new circle of friends. If you don’t fall in the water at some point when you are getting in or out of a kayak, then you are some kind of superhuman. Taking a dip is inevitable at some point in your kayaking career, and the most likely time this will happen is when you are getting in or out of your kayak. The best way to avoid taking a dunk when you are getting in and out of your boat is to know how to do it properly. So here are our kayaking instructions and top tips to help you in and out of your boat safely. 1. Select a good place to get into your kayak. You want a calm area, which is shallow (just in case), and somewhere that you can hold onto something sturdy as you lower yourself in. You will want to be able to get in your kayak while it is in the water and push you away from the side. Look for an area which will enable you to do this without there being any additional difficulties. 2. Place your kayak in the water, making sure you keep hold of it, so it doesn’t float away. Make sure the kayak is up against the side and the cockpit it alongside you. 3. Make sure your paddle is in your hand and position yourself, so you are close to the cockpit. Make sure you have one hand on your paddle and one hand on your kayak at all times. 4. For the sake of these instructions, let’s say you are getting into your kayak with your left leg first. Take a seat on the floor, so you are in line with the cockpit. 5. With your right hand on your paddle and steadying yourself on the bank, take a firm grip on the boat and ease your left leg into the kayak. Shift your weight to keep yourself steady, you should be hovering over the kayak. 6. If you need to, you can put your weight on the back of the kayak in a seated position. 7. Slowly bring your right leg into the kayak, keeping yourself steady on the bank. This is the bit where you are most likely to fall in, so take it slowly. 8. You can now take a seat and get comfortable. 9. Take a quick look around you to make sure you aren’t going to collide with anything and push away from the side gently. 10. 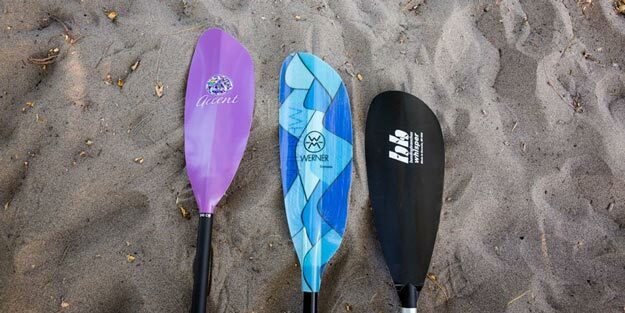 Now you can get paddling! 1. Select a safe place to get out of your kayak. Again, you will want an area of the bank which is sturdy and stable and where you can hold on. It is best to select somewhere where the water is shallow just in case. 2. Place your paddle on the side of the bank and hold on tight while you steady yourself. 3. Grip the kayak with your other hand and start to ease yourself out of the kayak. 4. Seat yourself on the back of your kayak and ease your right leg out of your kayak and onto the bank. 5. Keeping yourself steady with both hands, ease yourself up and over, so you are seated on the bank. 6. Swing your left leg out of the kayak, so you have now fully exited your boat. 7. You can now remove your kayak from the water and be on your way! Before you learn how to paddle your kayak, first, you need to make sure you are holding your paddle correctly. You will need to be comfortable holding your paddle before you can master kayak paddle techniques. Most kayak paddles are formed in a slight cup shape, this helps you create more power and move your boat faster. The upper edge of the paddle is longer than the lower edge of the paddle. To make sure you are holding your paddle the right way, check the longer edge is at the top, and the shorter edge is closest to the water. The best grip to start with is a grip slightly wider than your shoulders. You can alter your grip by widening and narrowing it. Widening your grip will give you greater control and power. Narrowing your grip is more comfortable for paddling longer distances as it puts less strain on your body. Ensure you aren’t holding the paddle too tightly, as your hands will soon tire if you do so. The size of your kayak paddle will depend on the size of you. Your height and the width of your boat will determine how to pick a kayak paddle. The following table should help you determine the length of paddle you need. If you are right handed your right hand will be your control hand. If you are left-handed, your left hand will be your control hand. Your grip doesn’t change as you are taking strokes, and you can control the angle of the blade with your control hand. The non-control hand should hold the paddle more loosely as this enables your control hand to alter the angle of the paddle. Maintaining good posture will help you maintain the best kayaking paddling technique. Sit up straight, keep your shoulders relaxed and your chest open. Keep your feet pressed against the footpegs. 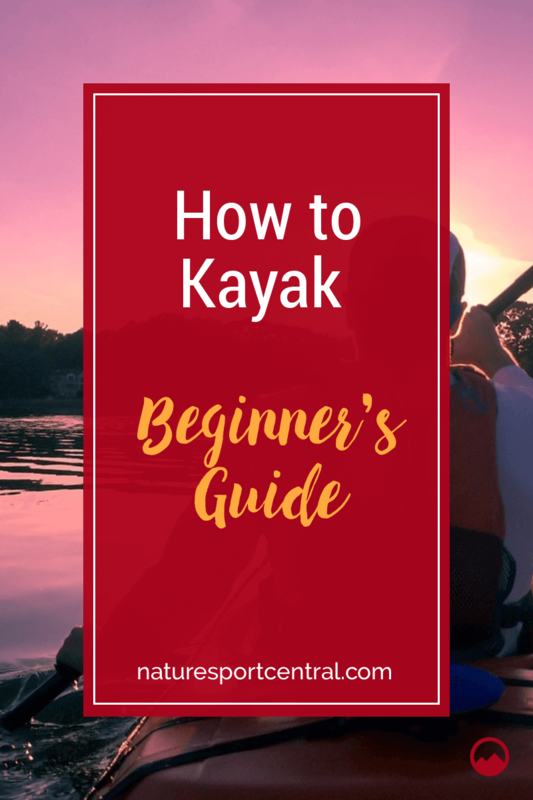 Your knees should be slightly bent while your feet are against the footpegs, and you should be able to press your knees against the kayak for additional balance. Keep your legs together as you paddle. This allows better torso rotation and makes for more efficient paddling. Most of your power comes from your torso rather than your arms. You should be keeping your arms straight while you are paddling and rotating your torso. Place the blade of the paddle in the water up where your feet are. Keep your arm closest to the water straight, and your other arm bent slightly. Pull the blade through the water and end your stroke when your hand is about level with your tummy. You should be using more power at the beginning of the stroke and less at the end. Press down on the footpeg on the side you are doing the stroke on. This helps to support the stroke and stops the kayak from spinning. Once you have completed the stroke, lift your paddle from the water and tilt it over to the other side and complete your next stroke. This movement should be smooth, and you should flow continuously from one stroke to the next. If you have just got a kayak, “where can I go” might be one of your first questions. 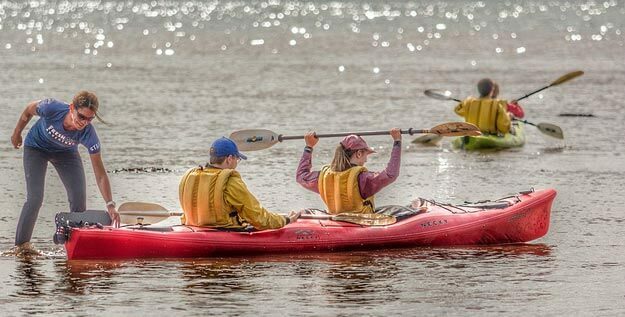 If you are new to kayaking, you need to make sure you are starting out with an easy location. You want somewhere where it is easy to get in and out of your boat. And one of our best kayak tips is to choose somewhere where the water is calm. Lakes and calm rivers are good places to start. Lakes won’t have any tides to contend with, and you can select a non-tidal section of the river. Make sure the water isn’t too fast flowing, and you don’t go too far from your entry and exit point, to begin with. Selecting a good place to use your boat is one of the kayaking basics. There are a few boats which make the best kayaks for beginners. 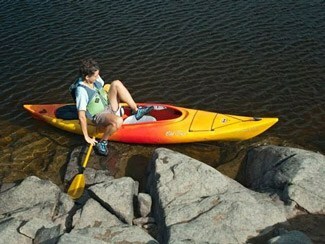 There are loads of different kayaks types, and choosing a kayak can seem like a difficult task. The best for beginners is inflatable, sit-on-top or a touring kayak. These are the most stable and easiest to maneuver. Take a look at some inflatable kayak reviews. You might not have heard of these before, but they are a great option which is worth consideration along with your traditional kayaks. What size kayak do I need? There is no kayak sizing guide to tell you how big or small you you’re your kayak. Your kayak size guide is determined by which type of kayaking you will be doing. There are different types of kayak for each different type of kayaking. White water kayaks are generally smaller and more maneuverable. Sea kayaks are less maneuverable, but they are faster and more stable, they also cover distance more swiftly. Fishing kayaks are more stable, and you can also add outriggers to make them even more stable. Look for a good recreational kayak to start off with. You can leave your search for the best tandem kayak until you are 100% confident. 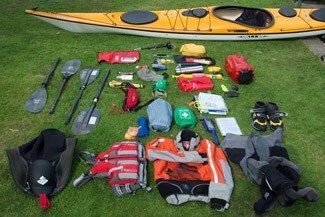 And you don’t have to start kitting yourself out with must-have kayak accessories until you are a bit further along. You can leave your search for the best kayak fish finder and the best kayak carrier until you are an avid paddler.